Below is a selection of articles and features responding to The Telling Project. These articles and features appeared in local, regional and national media. Click on the article title to link to the full text. Telling Project reveals gritty truths. Whatever else you’re doing this weekend, you should drop it. It was by far the best performance I’ve seen this season. The Telling Project has been performed in Portland and Eugene. And now it’s hitting the national stage — big time. Imagine returning from Iraq or Afghanistan, thrilled to be home but uncertain about how you’ll be received by the country for which you fought, a country increasingly ambivalent about these wars. This weekend a group of military veterans will let the public in on what is usually a very private affair—their war stories. They’re taking part in the Telling Project, a staged oral history that got its start in Eugene, and picks up in Portland tonight. “Telling Portland,” a play by and about military veterans, is based on interviews with Washburn and 21 other service members and their families. 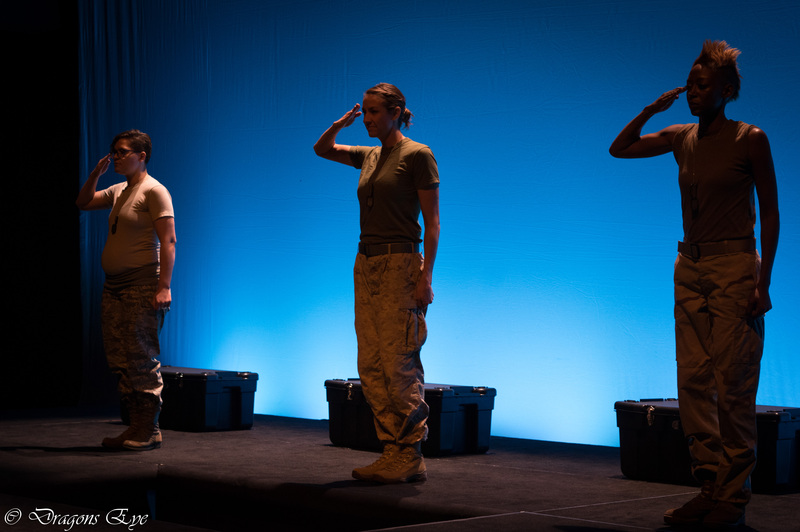 The play, performed at PSU last night, follows the stories of the eight actors from enlisting in the military to combat to the difficulties of re-integrating into civilized society. The seemingly simple concept works to bridge the gap between two very distinct groups of people : those who have been to war, and those who haven’t. Watching the student-vets act out their experiences allowed me to reconsider my oftentimes sensational and conflicted impressions of the military…They were boyfriends and girlfriends, brothers and sisters, history majors and student-teachers, wanna-be musicians and Peace Corps aspirants. Yet they were also young men and women who have had extraordinary experiences in the name of service, young people whose stories we, as a community, need to hear, no matter how difficult it is to do so. They don’t share a common point of view. They don’t share class, race, gender or religious backgrounds; they don’t all have the same branch of service in common. And they represent far more veterans than appear on stage.